The UTA Percussion Ensemble, under the direction of Dr. Andrew Eldridge, is committed to the highest standards of percussion performance. 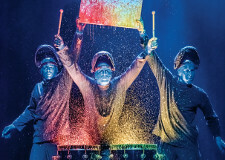 Whether it is through the commissioning of new works for percussion or performing for audiences on and off campus, members of the UTA Percussion Ensemble learn essential skills that translate directly to their future careers in percussion. The ensemble was previously selected to perform at the 2017 Texas Music Educators Association (TMEA) Convention in San Antonio, Texas, and will present the New Literature for Percussion Ensemble Session at the 2017 Percussive Arts Society International Convention in Indianapolis, Indiana.